These high quality amber glass bottles with Fine Mist Sprayers, are perfect for storing your essential oils, perfumes or colognes. The Amber glass provides protection from potentially harmful light and the convenient size makes it perfect for travel. 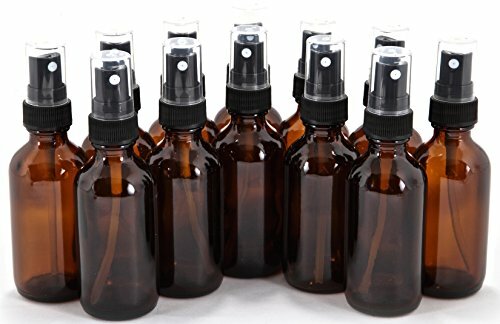 12 - 2 oz, Amber Glass Bottles, with Black Fine Mist Sprayers, and Dust caps.